December’s always been a big month for film, with Oscar hopefuls flooding cinemas alongside the kinds of blockbuster fare that tend to attract families home for the holidays. As its December slate illustrates, Netflix is no different, with the streamer unleashing movies, shows, and specials from a glittering assortment of names like Ellen DeGeneres, Jennifer Aniston, Bill Murray, Thanos, and Bruce goddamned Springsteen. 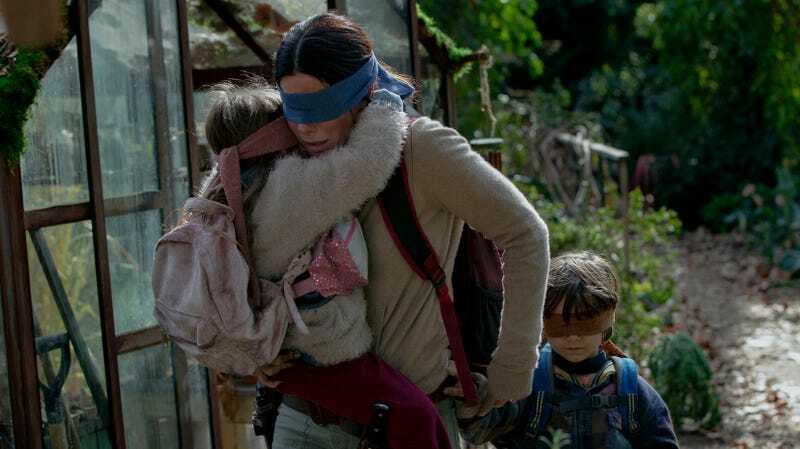 There’s also Sandra Bullock, who stars in Susanne Bier’s adaptation of Josh Malerman’s horror novel Bird Box. The story of creatures so something that they drive whoever sees them to suicide should keep horror hounds happy alongside other new arrivals like the underrated The Autopsy of Jane Doe, a new serial killer tale called Perfume, and the recently announced Chilling Adventures Of Sabrina Christmas special. Meanwhile, expect Alfonso Cuarón’s intimate, visually sumptuous Roma to dominate the Oscar chatter after it launches on December 14. It joins other high-profile releases like the Jennifer Aniston vehicle Dumplin’ and Andy Serkis’ Mowgli: Legend Of The Jungle, which features the likes of Christian Bale, Cate Blanchett, and Benedict Cumberbatch. In terms of live specials, DeGeneres’ Relatable marks the TV host’s first stab at stand-up in 15 years. Springsteen, meanwhile, will regale viewers with personal stories culled from his autobiography in between acoustic versions of his best songs in Springsteen on Broadway, a filmed presentation of his hit theatrical production. There’s lots of new series hitting the service as well, from the six-part true crime docuseries The Innocent Man to a Nailed It! holiday special to an anime called Hero Mask featuring a character named James Blood. There’s also a limited series adaptation of Watership Down on the way, though the streamer has yet to announce a premiere date for that. If self-flagellation’s more your thing, however, Fuller House will launch its fourth season on December 14. You can see the full list of what’s coming to (and going from) Netflix in December below, along with a promo video with some clips.